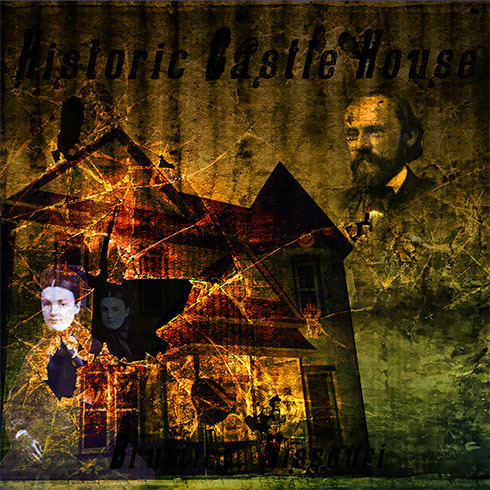 On November 29th, 2014 The Ozarks Paranormal Society investigated the Historic Castle House in Brumley, Missouri. Here is some of the evidence collected during that investigation. At 20:40:49 you'll see a light anomaly appear in the upper left of the screen near the closet door and descend to the bottom right in front of the motion detector. "Right click on the video window for full screen." This evp appears to have someone asking, "What happened to you?" Possibly one of the Dr's asking a question? Right after Dave says, "Spikes right here." Someone says, "Don't hurt me!" In the center of this clip a male voice whispers, "Sounds like time." After Bud says, "Thank you." It sounds as though someone says, "Welcome?" After Debbie asks, "Would you like to say something to the cat?" There is some sort of inaudible response? Several seconds after Dave asks whatever may be present to "Come up to one of the little lights.... and say something?" There is a quick but strange responce? Towards the very end of this clip you'll hear what appears to be a young female asking, "Please help me!" This evp is the same as the one above with the voice asking, "Please help me!" amplified.